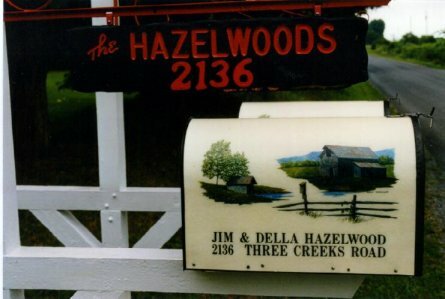 Dela and Jim's home in Gladys VA.
Credit for all articles and pictures from the archieves of: LT.(SEAL) James Hazelwood(MDV) click on photos to enlarge. Jim Hazelwood believed that service to his country was a duty. Fanfare was a matter of choice. So it seems fitting that he will be buried today in a quiet ceremony at the Carwile Family Cemetery in Gladys. The 85-year-old veteran of three American wars died earlier this week from complications from a stroke. "He didn’t want a lot of hoopla," said his son, Tom. "He just felt like he was one person among many who have served their country. If there was going to be a fuss over him, he felt that there should be a fuss made over all vets." That type of humility, coupled with quiet strength, is what endeared him to his family, friends and fellow veterans. "He was a warrior," his son said. Hazelwood’s military record reads like a chronicle of distinguished service awards. He was a survivor of Pearl Harbor and was wounded during the sinking of the aircraft carrier USS Lexington in World War II during the Battle of the Coral Sea. As a Navy diver, he was wounded while placing two markers on the beach before the Marine landing at Iwo Jima. He fought again in Korea and Vietnam. 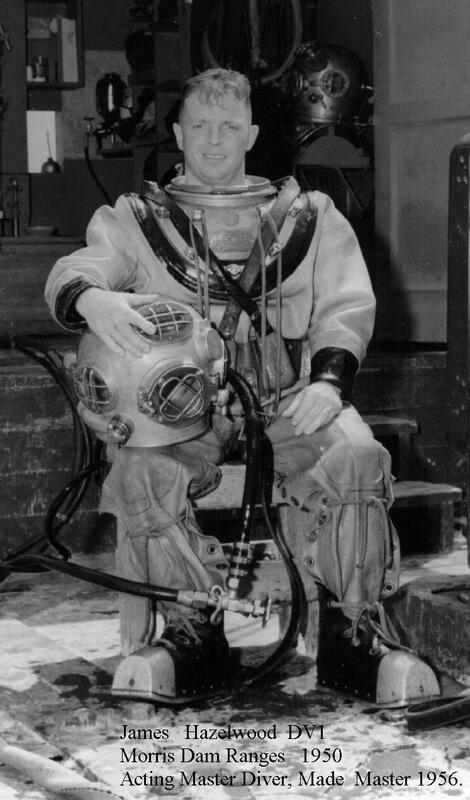 He also served on diving teams that provided splashdown rescue for astronauts on NASA’s Mercury, Gemini and Apollo space missions. He won the Silver Star and was awarded two Purple Hearts as a result of his combat experiences. "My greatest accomplishment is being a survivor of 32 years of hard Navy service." Terry L. Jamerson, who met him about a decade ago at the Lynchburg Area Detachment Marine Corps League, viewed his record much more generously. "As part of our ‘Greatest Generation,’ he was a leader among men and a true American hero that may never receive the recognition he deserves from all of us," Jamerson said. Those who knew him believe Hazelwood wouldn’t have had it any other way. "He didn’t brag," said Ben Brenneman, who met Hazelwood in the late 1980s as they both rode with the Lynchburg Bicycle Club when Hazelwood was well into his 70s. Some said Hazelwood was going on 25-mile bicycle rides as he approached the age of 80. Jamerson said that persona fits with the aura of a Navy Seal, which Jamerson said is among America’s fighting elite. "Most Marines look up to Navy Seals as being tougher than we are," Jamerson said. But it was on the home front where Hazelwood’s toughness shone through as he helped his wife of 59 years, Della, fight the ravages of Alzheimer’s disease. It was in that battle that Hazelwood consummated his reputation as a warrior and the embodiment of the Marine’s motto. "Semper Fi," Jamerson said. "Always faithful." » Contact Ron Brown at rbrown@newsadvance.com or (434) 385-5542. Doc Riojas NOTE: I spoke with my Friend, Tom Hazelwood, Jim's son about obtaining a picture of Jim in USNAvy Dress uniform. I never got it, but that's OK.
Tom said that Jim had a stroke, was taken to the hospital and the next day he died. 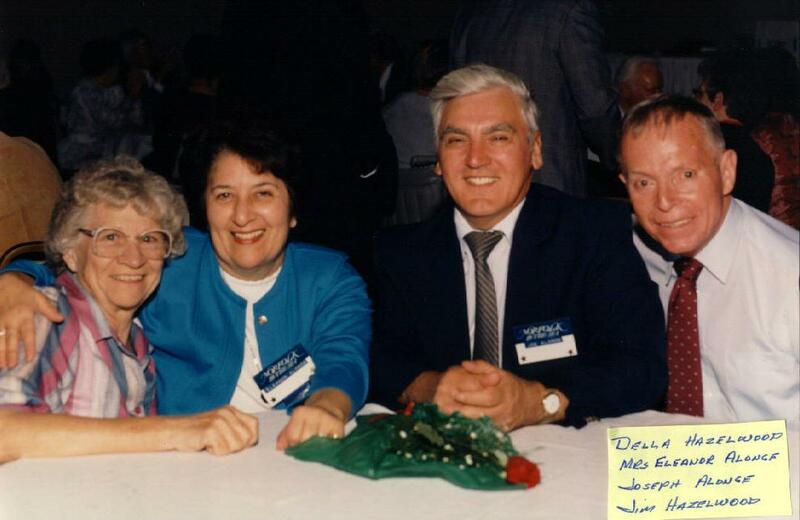 Della, Jim's wife suffers from the advanced stages of Alzheimer's Disease and he was her primary care giver. I understand their daughter will continue taking care of her mother Della. I last sat and chatted with Jim at the UWSS reunion at Little Creek Va. May 2002. He looked great. He said he was still doing a little P.T. every morning. I would like to provide additional information on LCDR JAMES ROY HAZELWOOD. Previously, I had submitted a Wake Island Detachment Photo and Called Chief Hazelwood ‘ROY". That was what be was referred to in UDT-1 1 UNLESS IT WAS CHIEF. 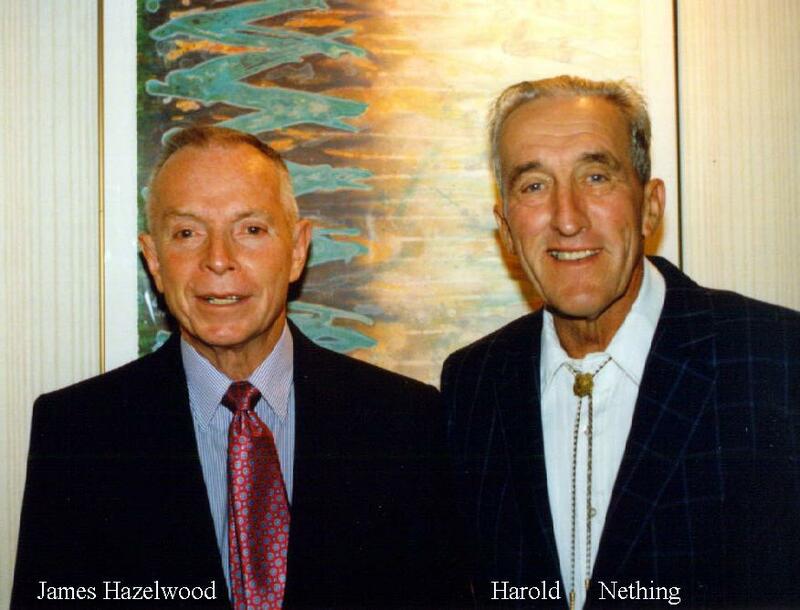 I had the pleasure of having Master Chief Hazelwood as my Platoon Chief and as Jim Barnes said "he was a Horse". When Chief Hazelwood first came to Team 11, his reputation preceded him. He was known; for going shark hunting with "power heads", and was fearless. Another story was that he was diving in the Caribbean and found a Rolex watch that was encrusted with coral. He corresponded with Rolex, thinking they would really jump on the promotion of their product, since it started running as soon as he shook it. Rolex - in a nonchalant way said that "all of our products will perform like that" or something to that effect. As previously stated Chief Hazelwood was in my Platoon and he went with me to do Cable repairs at Wake Island (Photo previously submitted). Upon our return, the Navy came out with a program for Chiefs with 18 years or more, could apply for a commission. I encouraged "Roy" to apply and also gave him an outstanding endorsement. We submitted the application and then departed for Kwajalein for another Cable Job. While there many incidents happened that I believe you will enjoy. Chief Hazelwood was a Master Diver and a physical Horse—he always ran wherever he went and prided himself in his abilities both mental and physical. While at Kwajalein Island proper, we worked long hours blowing channels and laying the cable. We also conducted Aqua Lung classes for some of the people with the installation. We had a couple of engineers who were always trying to trip up the Chief (who was our senior Instructor). One evening the Chief was going thru some Diving Physics and equations. These engineers immediately hopped on the Chief about the math portion. "Roy", paused like he was baffled and them slowly and diligently went thru a long formulation and made their jaws pop—Roy was self-educated and was a Whiz at Math, Geometry and Calculus. Needless to say-from that point on the Class paid close attention and were very grateful for his expertise. There also were a couple more incidents that were memorable—LT ANDERSON (OINC) and LTJG Harry Mackenzie lived in quarters some distance from the men’s barracks and we had a 4X4 for transportation. One morning we went out and all four tires were Flat. Lt Sorenson (cousin to PRESIDENT KENNEDY’S SPEECH WRITER) asked if we would like a ride to the UDT Barracks—We said sure— We rode up and all at once everybody was after SN Gerald Berg and SN Ted Matheson to pay up. It seems that Matheson and Berg had been taking bets that we would walk to work. It was obvious who had let the air out of the tires. I turned to the Chief and said, " I’ll let you handle those energetic Seamen". Chief Hazelwood, found a hand-Tire pump and made them pump up the four tires to 35 lbs. That was quite a chore and a valuable lesson. The other incident was off the Island of Aniwetoc (not the Atom Bomb Island), and we were laying explosive. The Chief was always a perfectionist and ready to go, his diving partner was James Pahia. Pahia was slower in getting ready and The Chief was already in the water- He submerged and was down just a short duration when he popped to the surface and "Stepped on the Bow of the LCM", He was speechless and looked at Pahia-who was still standing on the ramp. He walked over and punched him in the Arm. After a few minute he compose himself- he explained that he was under the LCM and something bumped him hard on the arm, he thought it was Pahia. It happened again and he turned and saw about a 20 foot Great White Shark. The Chief received his orders for Knife and Fork school, and had to depart before the job was completed, but he was always impeccable and dedicated to his duties. He received orders to a ship and then to the East Coast. We were going thin Parachute Training at Fort Benning and Ens. Hazelwood was going thru at the same time—He had to get a waiver because of his age. However, he out performed many of the younger men. James Roy Hazelwood’s brother was going through Jump Training at the same time (Army) and he was going to quit. Roy told him that isn’t the Hazelwood tradition and really chewed him out. They both graduated. This was during the time that President Kennedy was assassinated. They bunched up three classes to make up the delay in the schedule – They had jump with over 20 knots of wind and jumpers scattered all over the place. However, all the Frogs completed the jump without incident. UDT-11 Robbie Robinson was Honor Man of the Class and "Roy Hazelwood received special recognition for being one of the Oldest in the Class. 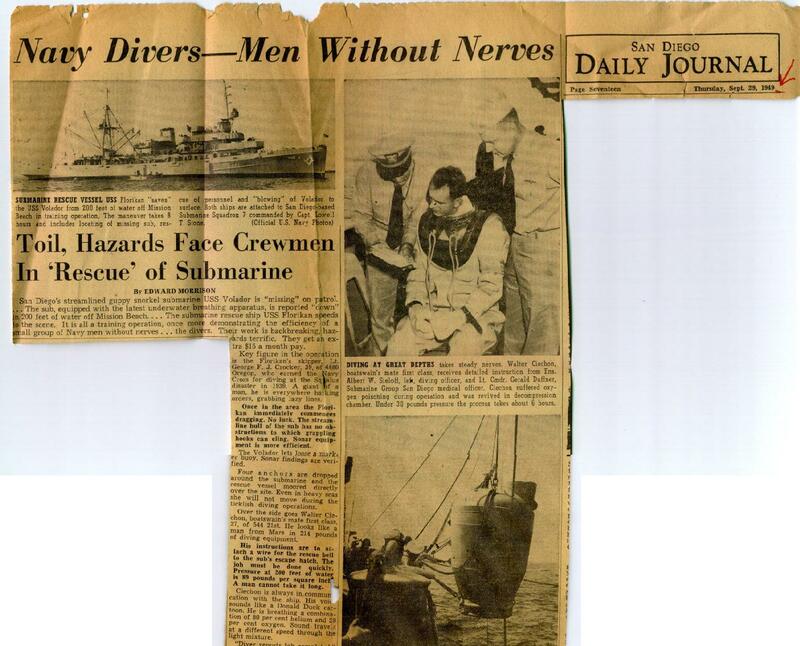 My friend and shipmate, Jim Hazelwood was an enlisted man in the U.S. Navy during WWII. He was ships company on the USS Lexington when it came under attack attack by several Japanese torpedo bombers as described in the book, "Queen of the Flat-Tops." Jims battle station was atop the ships island about 60 feet above the flight deck. Around the upper rim of the island was a catwalk with a platforms for machine gun mounts. At 1121 hours the Lex was under attack by torpedo and dive bombers. All of the ships batteries were in action and the the blast of the second torpedo that struck Lex on her port side was almost inaudible because of the extreme noise of her weapons. Jim was manning his 50 cal machine gun when a light bomb hit the Lexs funnel. It exploded and kills and wounds several men on the catwalk. Moments later, the Zero dive bombers machine guns wounds and kills many more of the men around the catwalk. Jim told me about the sudden moaning eerie wail of the Lexs steam siren. It seems that a jap bomb struck and kinked the metal tube in which the lanyard, operating the whistle from the bridge was housed. When the tube bent it pulled the lanyard tight causing the whistle to continue to hoot and moan until somebody turned off the steam to it. The Japanese did not sink the Lex. They damaged her to a degree that secondary internal fires created an inferno that cooked off airplane fuel and some 20,000 pounds of torpedo war-head guncotton. The ship was abandoned because all resources to fight the fires and continue damage control were 100% out of commission. She became an internal infrerno. One of our Destroyers sank her with two torpedoes. Jim Hazelwood, also told me that he had to swim away from the Lex which was drifting towards some of the men in the water. She drifted away and floated down wind leaving a stream of swimmers and loaded rafts strung out for nearly 1,000 yards. It is speculated that shark attacks were not reported probably because of the the repeated heavy explosions that may have scared the sharks away and also perhaps of the abundance of fish that were killed great distances from the Lex. Jim Hazelwood found himself , by the grace of God, alive and swimming among his shipmates whose thoughts were, "we are only a 400 mile swim from Australia." The survivors were rescued by the Carrier and Destroyers that were part of that Task Force and from Australia were shipped back to the States. Jim had met the "White Elephant!" in the Battle of the Coral Sea, 7-8 May 1942. In early May 1942, Lexington returned to the South Pacific in time to join USS Yorktown (CV-5) in successfully countering the Japanese offensive in the Coral Sea. On 7 and 8 May 1942 her planes helped sink the small Japanese aircraft carrier Shoho and participated in attacks on the large carriers Shokaku and Zuikaku. In turn, however, she was the target of Japanese carrier planes and received two torpedo and three bomb hits. Though initial damage control efforts appeared to be successful, she was racked by gasoline explosions in the early afternoon of 8 May. When the fires raged out of control, Lexington was abandoned by her crew and scuttled, the first U.S. aircraft carrier to be lost in World War II. Lexington's task force sortie from Pearl Harbor 15 April, rejoiningTF 17 on 1 May 1942. As Japanese fleet concentrations threatening the Coral Sea were observed, Lexington and Yorktown moved into the sea to search for the enemy's force covering a projected troop movement the Japanese must now he blocked in their southward expansion, or sea communication with Australia and New Zealand would be cut, and the dominions threatened with invasion. On 7 May search planes reported contact with an enemy carrier task force, and Lexington's air group flew an eminently successful mission against it, sinking light carrier Shoho. Later that day, 12 bombers and 15 torpedo planes from still unlocated heavy carriers Shokaku and Zuikoku were intercepted by fighter groups from Lexington and Yorktown, who splashed nine enemy aircraft. On the morning of the 8th, a Lexington plane located Shoksku group; a strike was immediately launched from the American carriers, and the Japanese ship heavily damaged. The enemy penetrated to the American carriers at 1100 and 20 minutes later a torpedo to port struck Lexington. Seconds later, a second torpedo hit to port directly abreast the bridge. At the same time, she took three bomb hits from enemy dive-bombers, producing a 7° list to port and several raging fires. 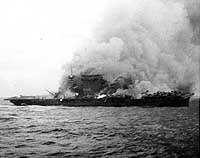 By 1300 her skilled damage control parties had brought the fires under control and returned the ship to even keel; making25 knots, she was ready to recover her air group. Then suddenly Lexington was shaken by a tremendous explosion, caused by the ignition of gasoline vapors below, and again fire raged out of control. At 1508 Capt. 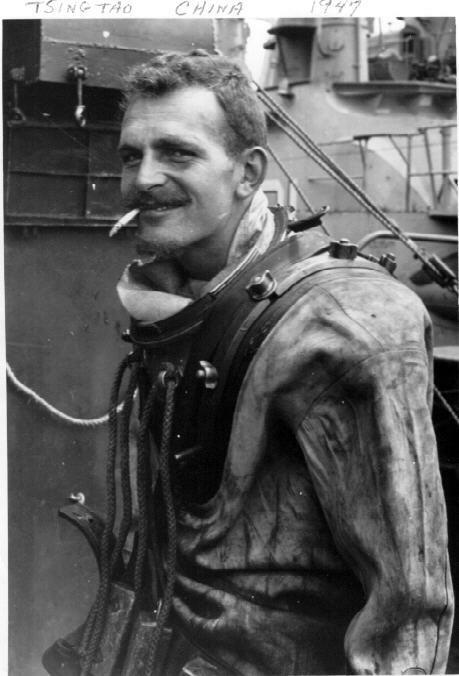 Frederick C. Sherman, fearing for the safety of men working below, secured salvage operations, and ordered all hands to the flight deck. At 1707, he ordered,"abandon ship!" and the orderly disembarkation began, men going over the side into the warm water, almost immediately to be picked up by nearby cruisers and destroyers. Admiral Fitch and his staff transferred to cruiser Minneapolis, Captain Sherman and his executive officer, CDR. 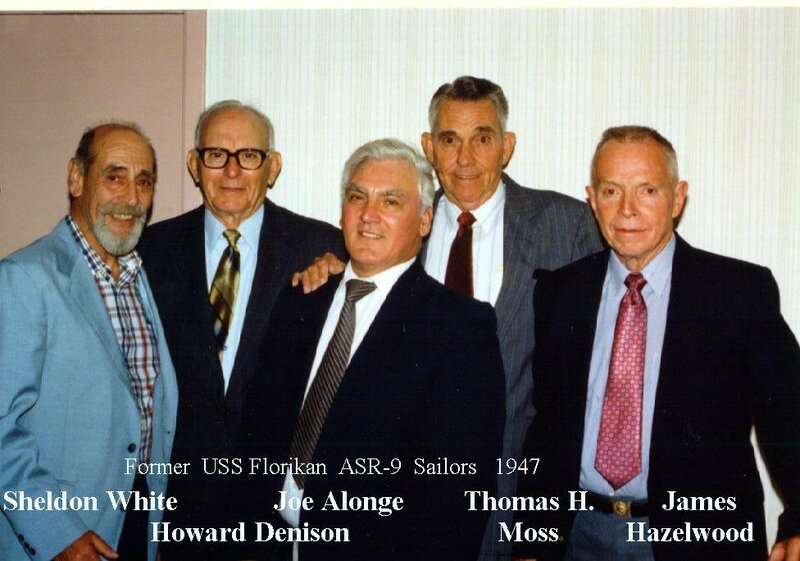 M. T. Seligman insured all their men were safe, then were the last to leave their ship. Lexington blazed on, flames shooting hundreds of feet into the air. A destroyer closed to 1500 yards and fired two torpedoes into her hull, with one last heavy explosion, the gallant Lexington sank at 1956, in 15°20'S. 1oo°30' E. She was part of the price that was paid to halt the Japanese oversee empire and safeguard Australia and New Zealand, but perhaps an equally great contribution had been her pioneer role in developing the naval aviatorsand the techniques which played so vital a role in ultimate victory in thePacific. Sam's photo taken in 1947. click to enlarge. Upon the order "Break the commissioning pennant," a ship becomes the responsibility of the Commanding Officer, who, together with the ship's officers and men, have the duty of making her ready for any service required by our nation, whether in peace or at war. For centuries the commissioning pennant has been the symbol of a man-of-war. It is believed to date from the 17th century, when the Dutch were at war with the English. Dutch Admiral Harpertzoon Tromp hoisted a broom at his masthead to symbolize his intention to sweep the English from the sea. This gesture was answered by British Admiral William Blake, who hoisted a horsewhip indicating his intention to chastise the Dutch. The victorious British thus set the precedent for a long, narrow commissioning pennant to symbolize the original horsewhip as the distinctive symbol of a ship of war. The modem U.S. Navy commissioning pennant is blue at the hoist with a union of seven white starts, and a horizontal red and white stripe at the fly. Navy tradition dictates that each ship constructed for the service be honored on four historic ceremonial occasion: Keel-laying, christening (or launching), commissioning, and decommissioning. The decommissioning ceremony is the time-honored ceremony which terminates the ship's active naval service.